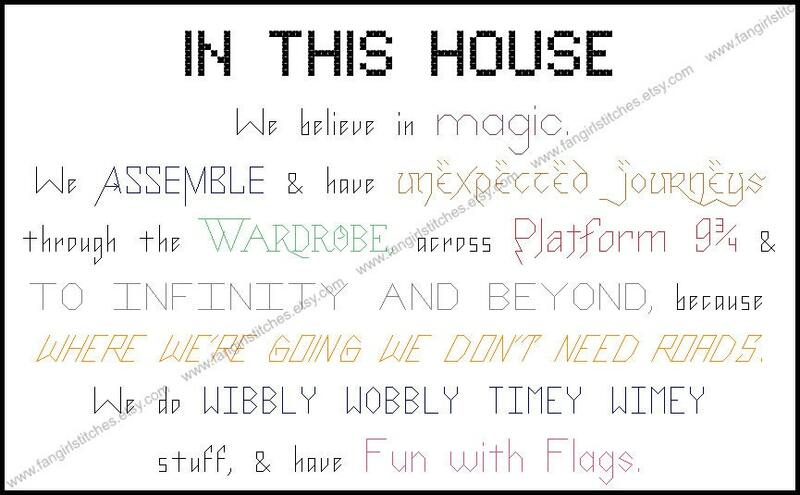 "In this house, we do geek." 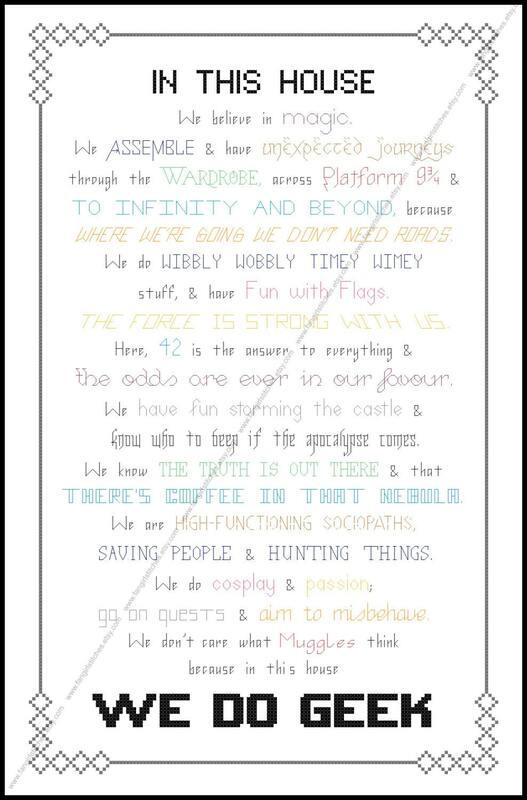 Display your household's love of all things geeky and fandom-related with this cross stitch pattern. 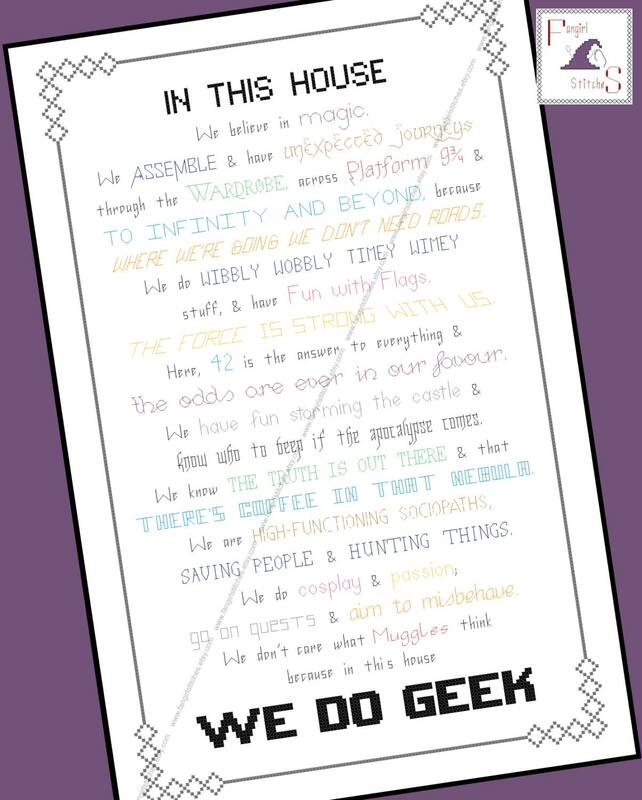 Geek references include Firefly, Marvel, Buffy The Vampire Slayer, Supernatural, The X-Files, Star Trek, Star Wars, Back to the Future, Hitchhiker's Guide to the Galaxy, Doctor Who and Harry Potter. Fabric size: 17 x 23 inches. Because of the number of half-stitches, this piece is best stitched on 28 count evenweave. 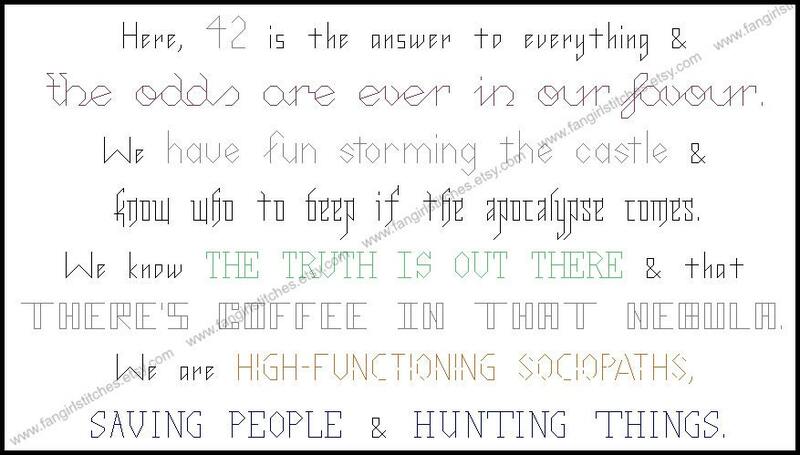 14 count aida will also work. 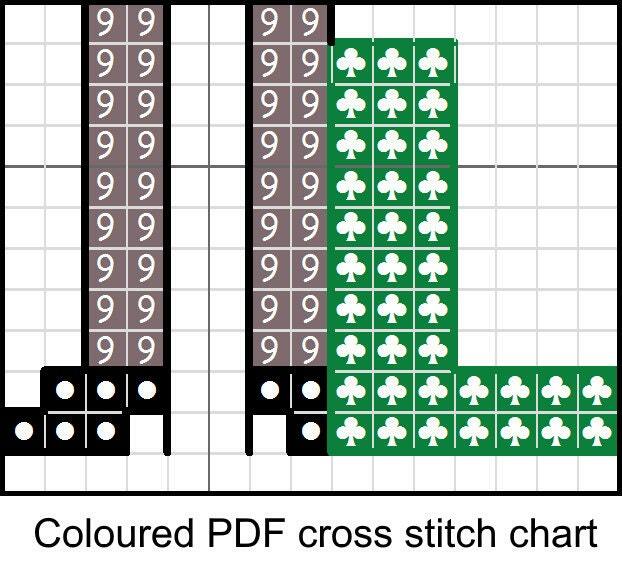 This design includes whole stitch and back stitch, French knots, and is suitable for beginners. Fab - love the design.